Security, facilitation, harmonisation: these are the key challenges for border control in the European Union. As passenger flows increase, more and more travellers want to cross the Schengen external borders with maximum convenience and speed, while at the same time border guards should secure the zone against various threats, which can include terrorism, irregular immigration or crime. Thus, the FastPass project has established and demonstrated a harmonised, modular approach for Automated Border Control (ABC) gates. Uniting the experiences of 27 partners, FastPass took into account the entire ABC value chain – system and component producers, research institutions, governmental authorities and end-users – and proposed a solution fulfilling the specific needs of air, land and sea borders and the large variety of stakeholders. The modularity of the FastPass solutions allows the exchange of single components of the system and allows to establish a clear comparison between vendors. The harmonised FastPass architecture supports a large variety of processes in border control and different border types. Therefore it empowers the development of the market by reducing buyers’ costs and making them more independent towards suppliers. Next-generation sensor development and novel frameworks, software and algorithms meeting the challenges of on-the-move biometric identification, speed, costs, image quality, reduced intrusiveness and counter spoofing. FastPass was taking into account all security aspects in the design and development process. Thus it was developing modules against the most recent attacks both on identity documents and biometrics, such as detection of counterfeit documents, face or finger spoofing, attacks with mobile devices and piggybacking in ABC gates. Innovative scenarios developed based on a harmonized architecture and optimized processes (i) to serve demands on air borders, (ii) proposing a solution for border checks at cruise ships and (iii) proposing a solution for travellers remaining in cars at land borders. All these different solutions are based on a common harmonized architecture. Methodology for a holistic risk and security assessment leading to a list of threads, which were categorized according their type, impact, exploitability and mitigation strategy. More generally, FastPass established methods for security and privacy assessment under a common procedure: security can then be consistently compared among EU Member States, with other countries or among different installations. 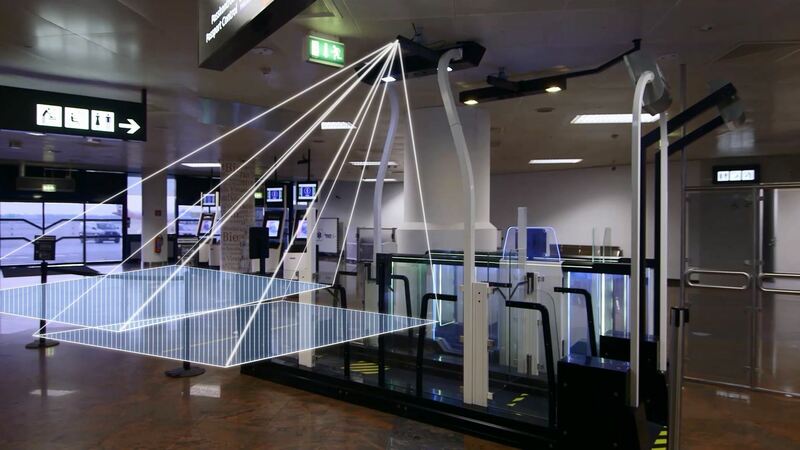 FastPass has demonstrated several Automated Border Control innovations on process, modular and general level at the three European borders in Vienna Airport, Piraeus Port and the Moravita land border crossing point. More than 10.000 travellers and around 200 border guards used the system, which provides a novel analysis and insight into different scenarios and their results from technical, operative, social and legal perspectives. Adopted to various kind of borders and border control processes, FastPass answers the needs of multiple stakeholders. Finally, the project summarized its findings also in a set of recommendations for setting-up, operating and assessing ABC systems.